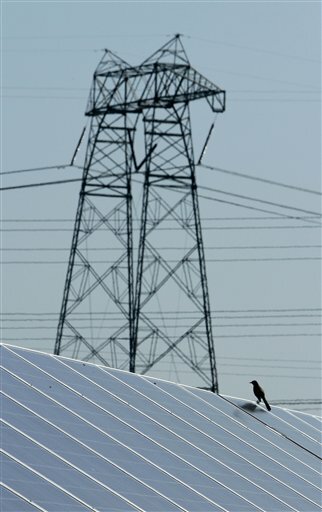 ABU DHABI, United Arab Emirates (AP) — Renewable sources such as solar and wind could supply up to 80 percent of the world’s energy needs by 2050 and play a significant role in fighting global warming, a top climate panel concluded Monday. But the U.N. Intergovernmental Panel on Climate Change said that to achieve that level, governments would have to spend significantly more money and introduce policies that integrate renewables into existing power grids and promote their benefits in terms of reducing air pollution and improving public health. 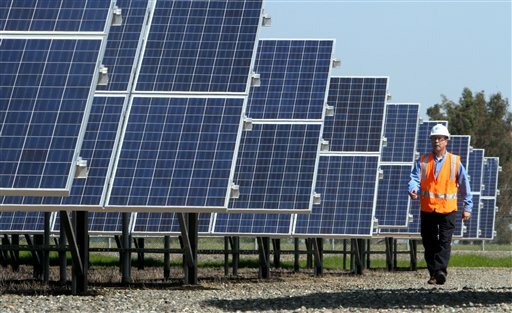 Authors said the report concluded that the use of renewables is on the rise, their prices are declining and that with the right policies, they will be an important tool both in tackling climate change and helping poor countries use the likes of solar or wind to develop their economies in a sustainable fashion. This could contribute towards a goal of holding the increase in global temperature below 2 degrees Celsius – an aim recognized in the United Nations Climate Convention’s Cancun Agreements. The most optimistic of the four, in-depth scenarios projects renewable energy accounting for as much as 77 percent of the world’s energy demand by 2050, amounting to about 314 of 407 Exajoules per year. As a comparison, 314 Exajoules is over three times the annual energy supply in the United States in 2005 which is also a similar level of supply on the Continent of Europe according to various government and independent sources. You can read a summary of the study here, and the entire report is due out at the end of the month. Thanks for posting this. The link to the summary did not work for me. Last night I watched a PBS TV show on shipbuilding in San Francisco at the very beginning of World War II. At one point they were building destroyers one a week! The consequences to humanity from greenhouse gas emissions are now so serious that a gung-ho program, like the US mobilization for WWII — to move to non-emitting energy — makes good economic and political sense. It’s a matter of survival. Of course, such a move does not sit very well with the people who have huge investments in fossil fuels and business-as-usual infrastructure — like the Koch borthers, Exxon Mobil, Wilbur Ross, etc. These investors have a ton of money, some of which they use in propaganda campaigns, claiming that alternatives to further enriching these investors are not practical or useful or desirable. How surprising! This study is one of many that show that their propaganda is wrong. Let’s get on the track to a safe and clean energy future!